What’s It Like To Write Music During Times of Political Upheaval? I never thought I would end up in rural Mississippi on election night in 2016, but I was on tour with Sunflower Bean and that’s exactly where I found myself. 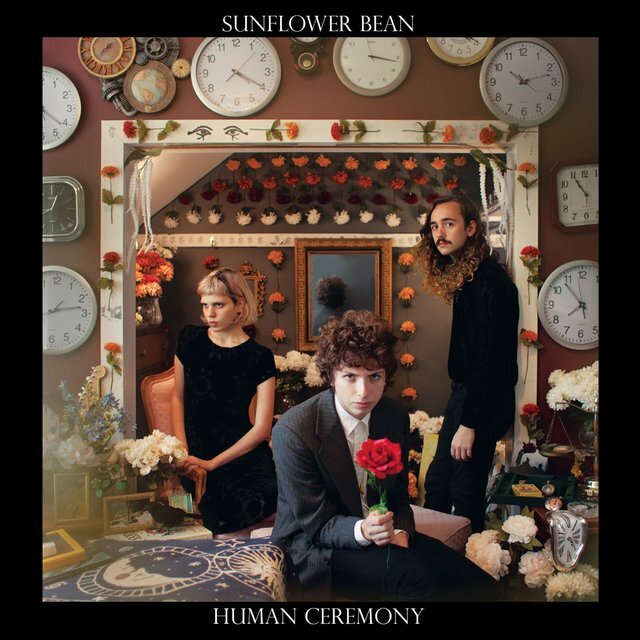 I was 20 years old and I had just released my first proper record with Sunflower Bean, Human Ceremony. Every day brought a new adventure, a new terrain or town to understand. Outside of the van’s window, I watched the landscape roll by, political alignments pitched on the terrain like flags. It wasn’t uncommon to see TRUMP-PENCE 2016 every few miles — or the disturbingly succinct HILLARY KILLARY. “We’re really out here…” I quietly mentioned to my band mates as we clocked one… two… three… SIX other signs of support for Trump that day. Still, I basked in the literal sunshine and my own coastal elitism, placing all the unpleasant thoughts out of my mind. We were making our way to Oxford, Mississippi, a small town known for being the home of William Faulkner. Oxford is also something close to a liberal hub in a very “red” place. Like on any other night, I loaded into the dank green room, which on this occasion was a bar basement full of broken furniture. (“Must it ALL be broken?” I thought). And, like on most nights, I hoped that people would show up. Still, I was a bit more worried about attendance than usual — as I said, it was election night and the battle between Donald Trump and Hillary Clinton was raging. I began to explore the town, a tourist for the evening as per usual. And as I watched a few glaring red hats pass me by, I felt the knot in my stomach growing like a ball of tightly wrapped rubber bands. I eased myself by looking at Instagram pictures of women taking their daughters to vote. My parents had done that with me. They were excited to be voting for the first woman president together, and I felt premature relief that the nightmare of the last nine months’ campaigning would soon be over. As I sat in a bookshop attempting to read something nice to further ease my mind, I also watched Florida flip between blue and red on my phone. With tentative fear, I asked my band mate, Nicholas, if he was beginning to feel worried, too. He calmed me down, citing the polls and the widely accepted idea that Hillary couldn’t lose. I remember getting onstage, not yet knowing the outcome of the election, but aware that it would be announced by the time we started playing. The show was in a sports bar, with the TV facing the audience. The crown began to cheer during a strange part of a song, and I had the sinking feeling that the applause wasn’t for us. I felt deeply powerless; something a scream or a song can’t fix. I was still onstage, but I knew it was over. We had lost, and Trump had won. When I was growing up in the East Village, my dad played bass for some local musicians — that was how I began to learn how to be an artist. All of his peers believed that one should not only wear their beliefs on their sleeve, but do something about them, too. I had joined my first band at 13 (called SUPERCUTE!). We used to chase Mayor Michael Bloomberg out of his apartment building, screaming as he drove away in a limo. I think at that time we were angry at the city for the unexplained gassing of geese in parks. I used to drag my guitar to protests multiple times per week with my band mate Rachel, and even co-hosted a weekly radio talk show focused not letting your age or your gender keep you from being politically active. Over the last few years, though, I had let that part of myself grow soft. I strictly focused on bass and work. I was trying to start a life for myself, which is completely valid. But I also wore the blindfold that many of us creatives do: I felt like I didn’t belong in political conversations, and I was disconnected from what was going on. Soon, I generally started assuming that everything was going to be fine. I took what I knew and didn’t know for granted — until the results of the election were in my face and it felt irresponsible to look away. All of a sudden, it was December of 2017 and time to write our second record. We had planned to rest for the winter, maybe hibernate and gather our thoughts. But after only a couple of weeks, we got to work in our drummer Jacob’s cold basement with a fire inside of us that couldn’t be named until we wrote it into existence. I soon felt a sword growing inside of my throat that I didn’t recognize. It made everything I had done on my first record feel searching and small. I wrote lyrics like, “I don’t need your religion, I don’t need your protection” on the song “Human For,” a direct response to how other people’s religious feelings get in the way of my rights as a woman, as a human. On “Crisis Fest,” I sang, “We brought you into this place, you know we can take you out.” I hoped that the words would help us all remember that WE are the ones that make the choices (in elections and otherwise) — as long as we are brave enough to actually look at the issues surrounding our lives and culture. On the worrisome “Oh No Bye Bye,” Nicholas and I sang, “Do you think we can make it together? Does it still get cold outside?” With this song, we were facing our fears and regrets the only way we knew how: through music.Without planning it, we were trying to distill the experience of being a 20-year-old in 2016 into an album. 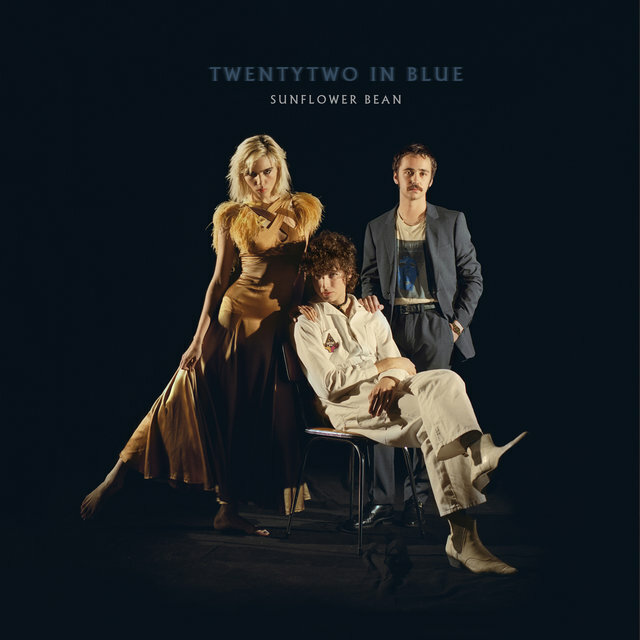 When we put Twentytwo in Blue in March of 2018, it was perceived to be a political album, which baffled me slightly. When I think of political records, I look to someone like Bob Marley or Joan Baez. We had only wanted to capture how people felt at the time, the conversations they might need to have with themselves to stay brave in large winds and uncertainty. Our record reminds me of a person; it’s multi-dimensional, vulnerable and even flawed. That brings me to the question that I started out answering at the beginning of this piece: What is it like writing music in a political time? For me, the process changed my life. I found a stronger voice inside of myself that was waiting to be used, now and for as long as I can. But I think we must also acknowledge our privilege: the ability to even ask ourselves that question in the first place. If there is any silver lining to the cultural and societal upheaval that has taken place since 2016, it’s that we now KNOW we can no longer afford to remain blindfolded. We never should have afforded ourselves that luxury in the first place. I’m speaking directly to white people living above the poverty line in the United States of America. The awareness or idea that this is a political time is full of privilege in and of itself, because for many Americans and people all over the world, it has ALWAYS been a political time. We cannot just decide that it is so because it finally affects us. The power of music (and writing it) is beyond intellectualization; trying to write about the process in words is nearly impossible. Music is about reaching into your soul to try to find your truth — and then showing it to the world however you can. While the process of writing a song is outside of politics, the pain we feel as a culture or society always finds its way in somehow. On Twentytwo in Blue, we tried to express an understanding of our power after our blindfolds had been removed. If we could help people feel a little less alone, as listeners or as activists, then we succeeded. As artists, I hope that we can try to see the opportunity in no longer lurking under a facade of safety; writing about it can be the only way to endure it. Who else is going to make the soundtrack to our revolution?